Growing Green: DEAR POPE FRANCIS: KIM GOT AN INVITATION. WHY DIDN'T I? DEAR POPE FRANCIS: KIM GOT AN INVITATION. WHY DIDN'T I? In my dreams, and after Pope Francis left North America in September, 2015, I worried to my wife that I had been left out of the invitation list to the Papal Nuncio. “Call and find out why,” she advised. 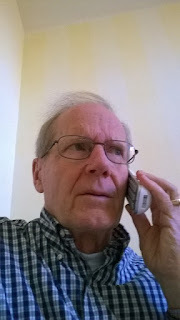 I picked up my Word Phone and called the Papal Nuncio on Mass. Ave.
“Invitation to what?” retorted the operator. “To meet Pope Francis,” I said, stating the obvious. “And you didn’t get an invitation, Mr. Ree?,” he said. “They did invite lots of nobodies. You should have got an invitation too. I’ll transfer you to the Answerer.” Long pause. Me: “Oh, is that what you mean? I’ll take care of that right away,” I said. “Call Ended” flashes across the screen. Okay. “I give up,” Glumly, I tell my wife in the final scene. Now I’m awake.